I've worked on over the last few months. I keep forgetting to take pics when I'm done!!! 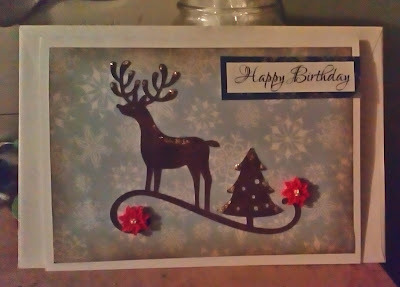 This card was for a friend at work whose birthday fell in the Christmas season.